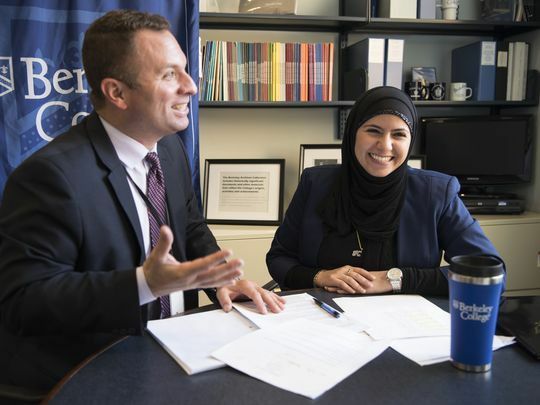 Berkeley College student Huda Shalabi was recently selected by national news publication USA Today to be featured in its weekly column, “I Am an American.” The series introduces readers to exceptional Americans who are making a difference to unite, rather than divide, our communities. 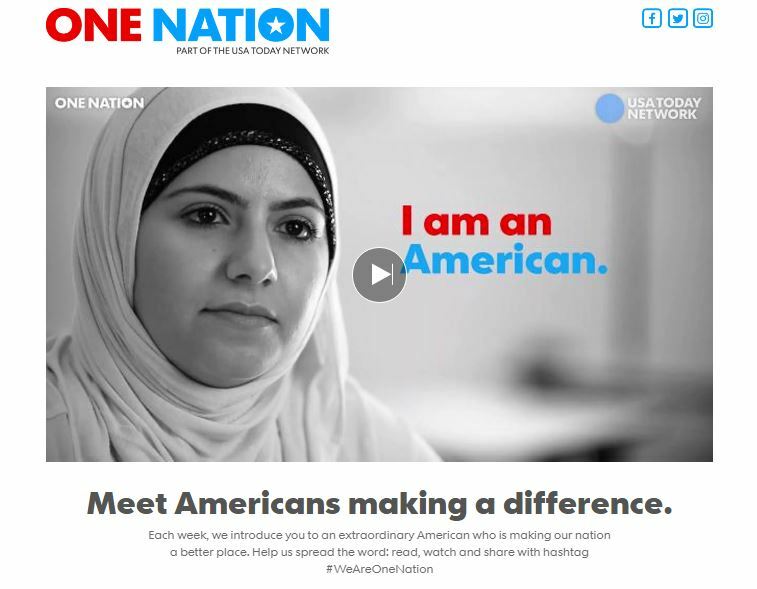 Published by 110 of Gannett’s newspapers nationwide, “I Am an American” chronicles Ms. Shalabi’s time at Berkeley College in Woodland Park, NJ, her internship with the Paterson Police Department, and her overall journey to potentially becoming Paterson’s first female Arab officer to wear a hijab. “I could be a role model to other Arab females in my community,” said Ms. Shalabi, a resident of Paterson, NJ, who is the fourth of 11 children born to Palestinian immigrant parents. Click here to read USA Today’s “I Am an American” profile on Ms. Shalabi, and click here to watch an accompanying video. Ms. Shalabi will also appear on the public television program “One-on-One with Steve Adubato” on Thursday, December 7, airing at 5:30 p.m. on WHYY, at 7 p.m. on NJTV, and 1 a.m. on WNET – Thirteen. Joined by Professor Gary Krulish, Co-Chair, Justice Studies, Berkeley College School of Professional Studies, Ms. Shalabi will talk to host Steve Adubato about her pursuit of a career in law enforcement, as well as the need for diversity in criminal justice. To view the above image as a high resolution photo, click here.